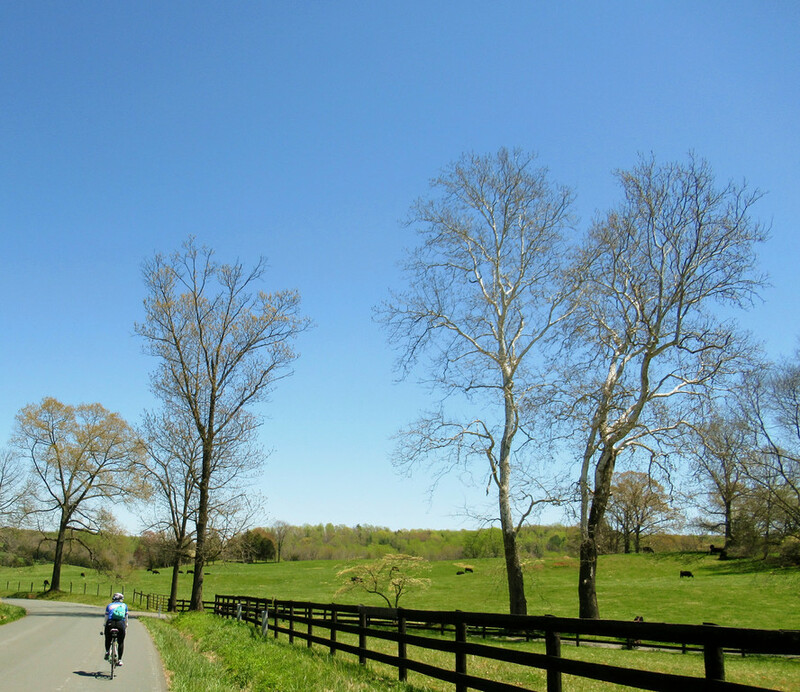 Top Ten Cycling Routes in Virginia - that you can't miss! 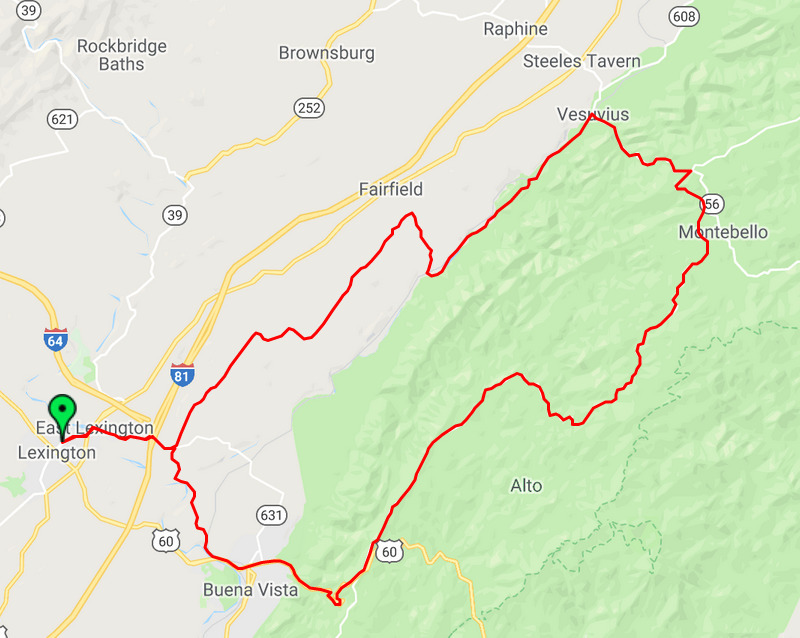 Marion and I have been going down to Virginia for over 20 years and we have never tired of the wonderful cycling in this state. In the early years with the Ottawa Bicycle Club, we used the county maps from the Virginia Department of Transport. You could buy a map for one US dollar and they would ship it to Canada for free! Of course you needed alot of them to cover some counties but they showed you every road that was paved and what wasn't paved. 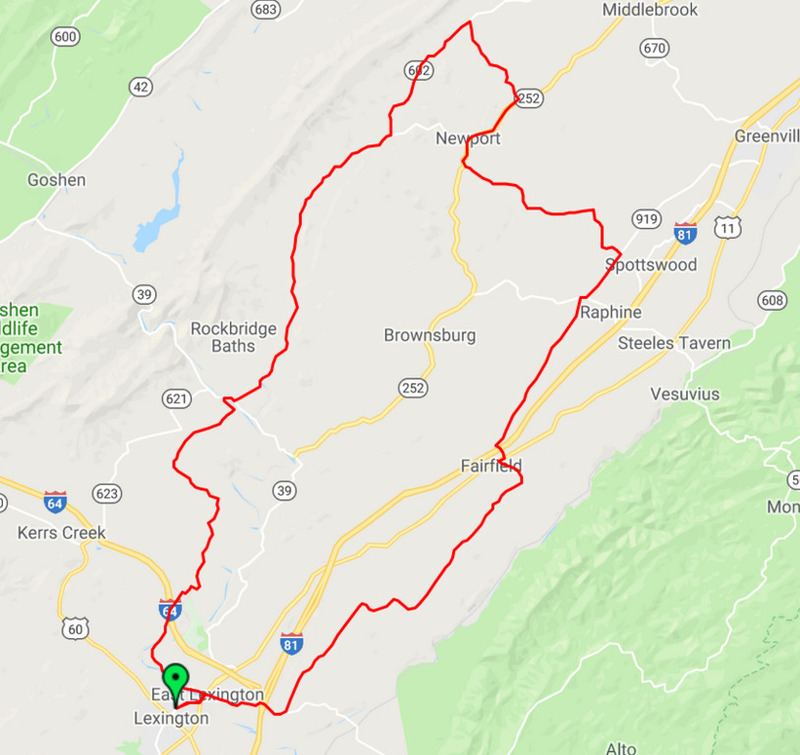 Virginia has alot of roads and even today these maps are useful if you are new to an area and are trying to figure out routes! What keeps us returning ? The people are nice too and often, on small quiet roads, they are reluctant to pass you - which is a problem we are not use to having! And finally, there are lots of nice towns to explore by foot which is a nice way to spend a rain day. How much riding is there? 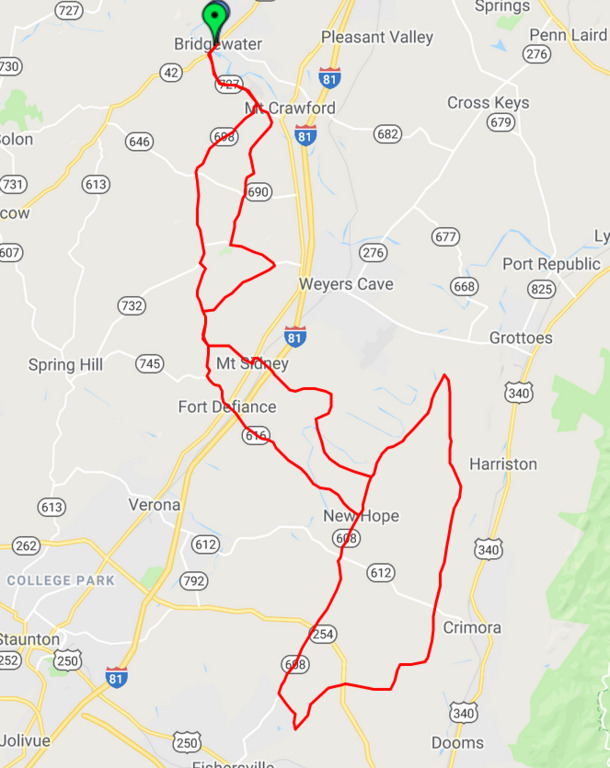 Well, in my gpx database, I have 71 rides that are all great rides in about 10 different locations - mostly in Virginia but some in Gettysburg, Pennsylvania and a few more in Maryland. 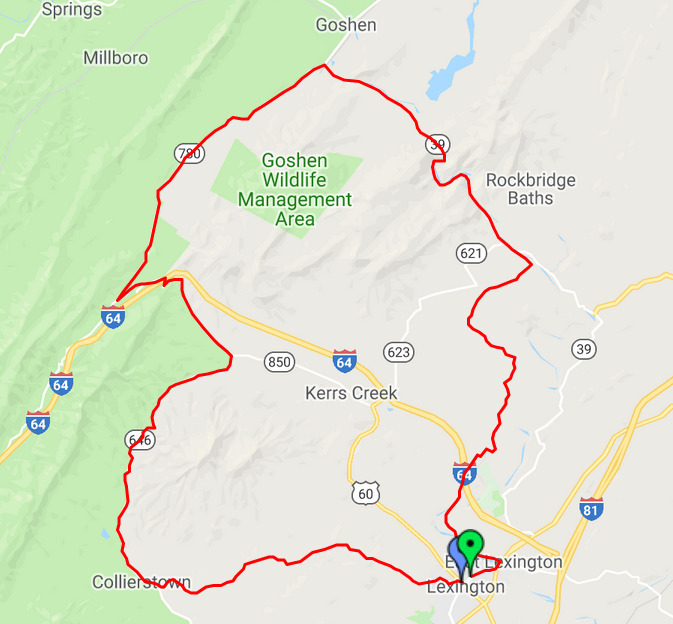 All these rides make it easy to spend 4 or 5 weeks in the spring making your way as far south as Lexington and back. Gettysburg has some nice riding in the orchard fields. 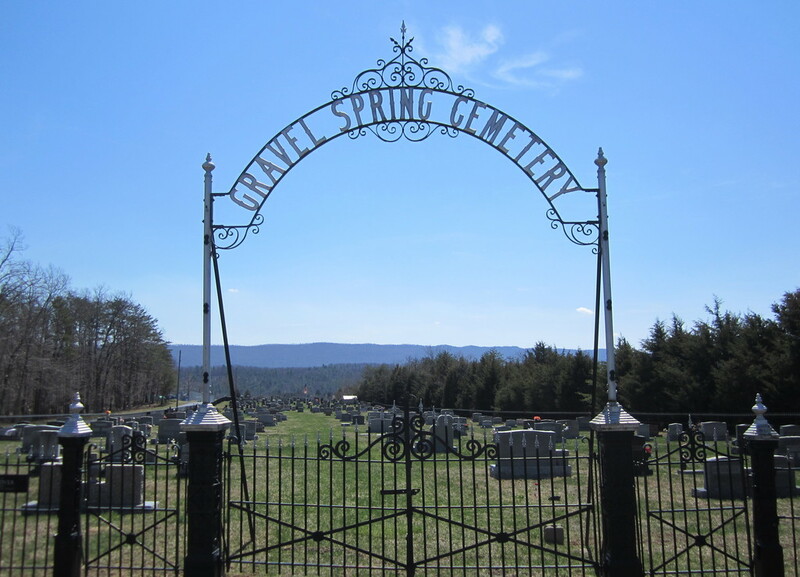 If the weather is warm, we stop in Gettysburg on the way down else we try to stop on the return trip. All our riding has been late March, all April and into May. The weather can be cold, snowy, hot, windy, rainy, and perfectly sunny. You can get it all. Usually you can wait a day or 2 and the weather changes yet again. 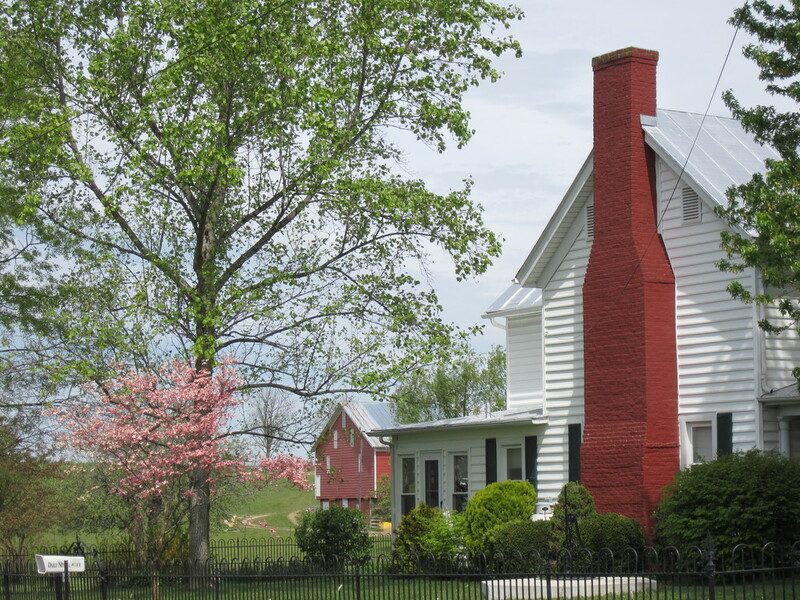 The sweet spot for perfect weather, is Madison County (Culpepper or Orange as a base). 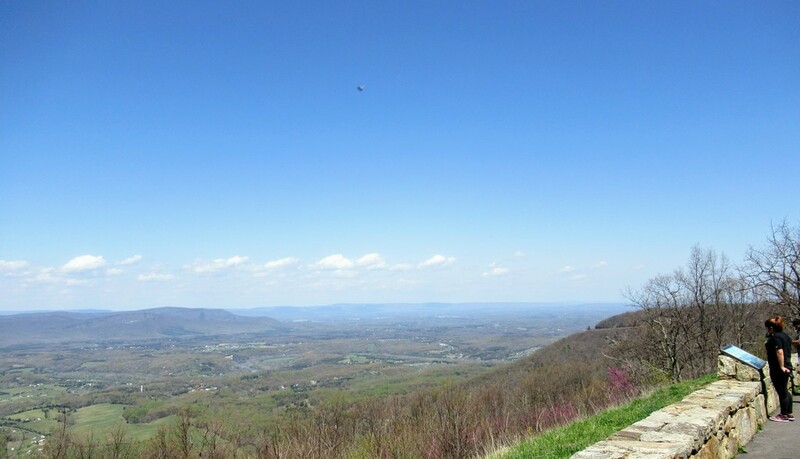 For some reason the east side of the Blue ridge often gets the warmer and sunnier weather. 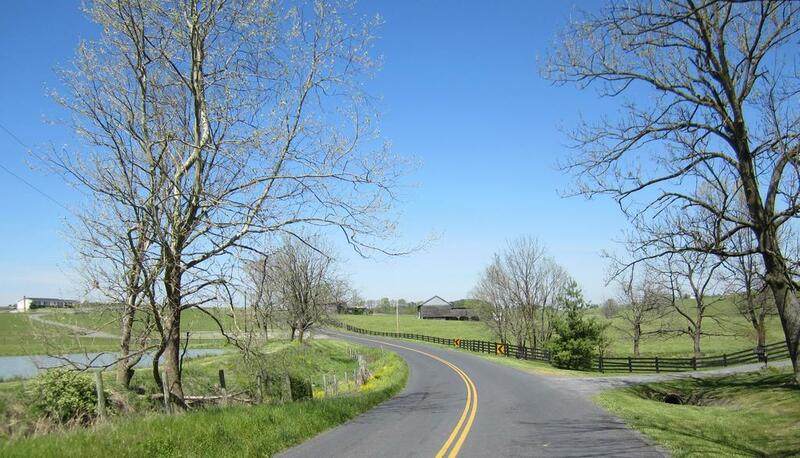 That's where we head if things are looking bad in the Shenandoah Valley. Well, as you can see, most of our navigation is by track file on a Garmin. The value of the track file is you don't spend much time pondering a left or right turn. If the track file is a good route, you just ride - rain or shine. 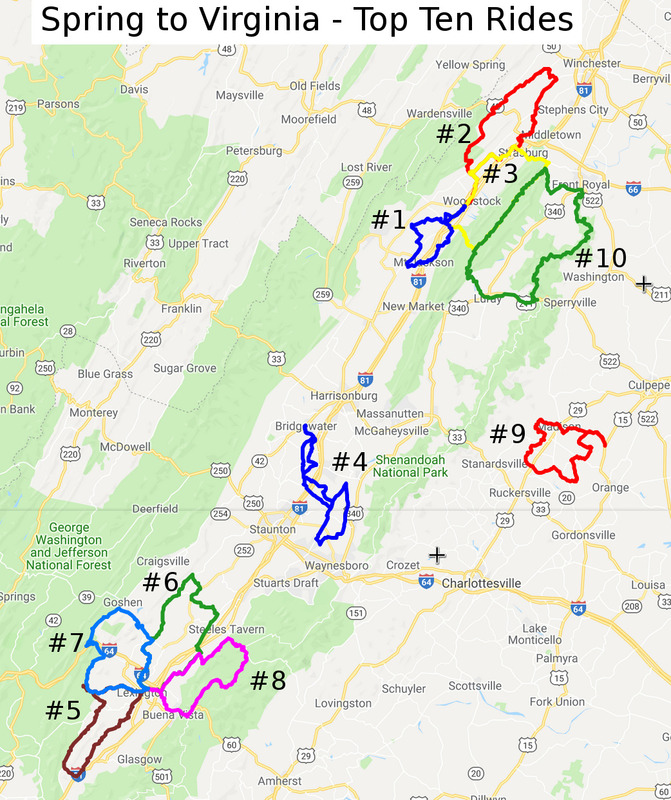 Maps: Some areas and routes can be covered in one VDOT (Virginia Department of Transportation) county road map. In the old days, we would make up cue sheets for the difficult routes across multiple maps with lots of turns. It took us a long time to figure out the best routes in and out of towns with the paper map tools! It became much easier when mapping tools came on line and we purchased a GPS. Top Ten Rides .. and why! 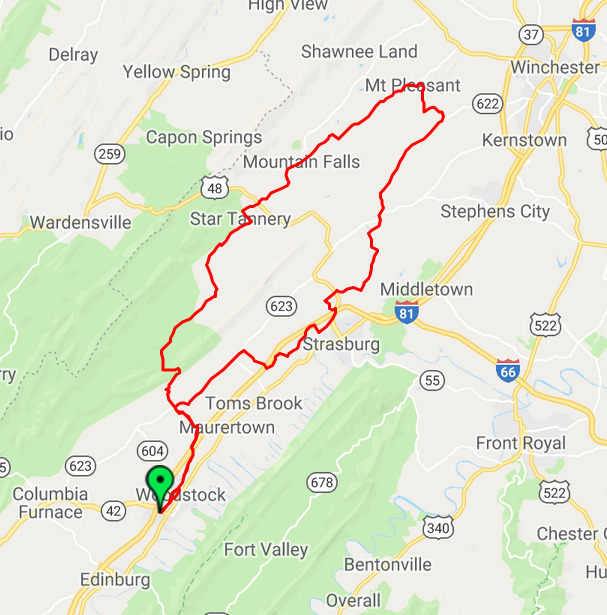 You've just driven down to Virginia in one or two days and you are looking for an easy ride to get your ski legs replaced with cycling legs! We could cycle this route a couple of times a week .. for ever! quiet roads especially the back road from Edinburg to Mount Jackson! Conicville - Lens Mill right turn coming up! 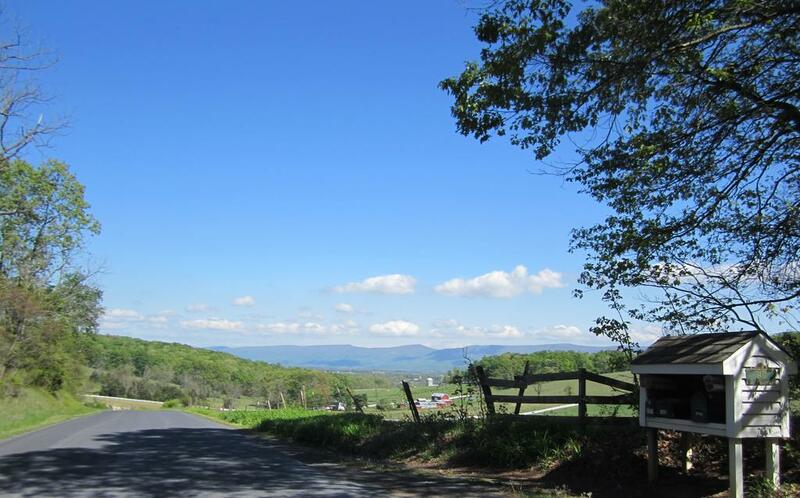 The great part about staying in Woodstock is that all the rides are just out your front door! Often we will arrive late in the day in Woodstock and want to cycle for 1-2 hours .. so we will take off and do the first 15km of this ride up Zepp road to the top and then turn around. Then we wait until the perfect day to do this ride in full. 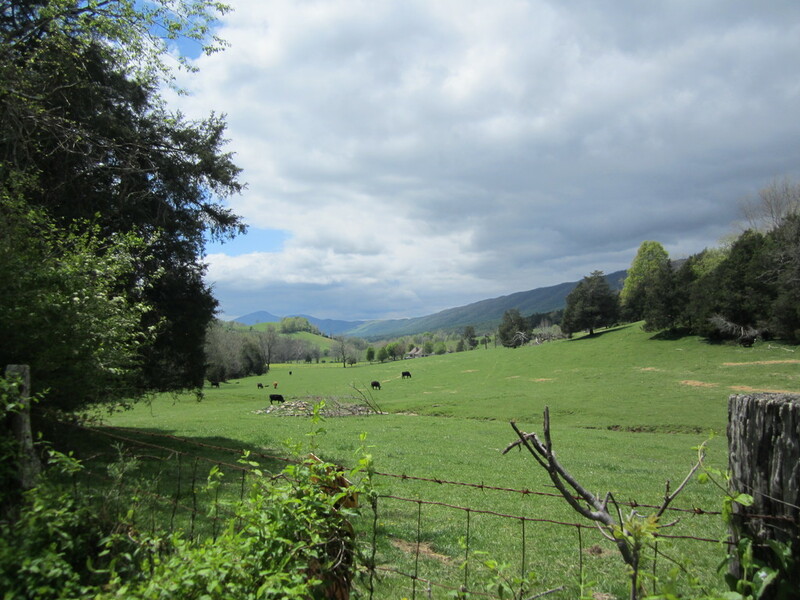 beautiful descent on the other side into a forest and remote area of the county with running streams and horse farms. Zepp - Cemetery - lunch! 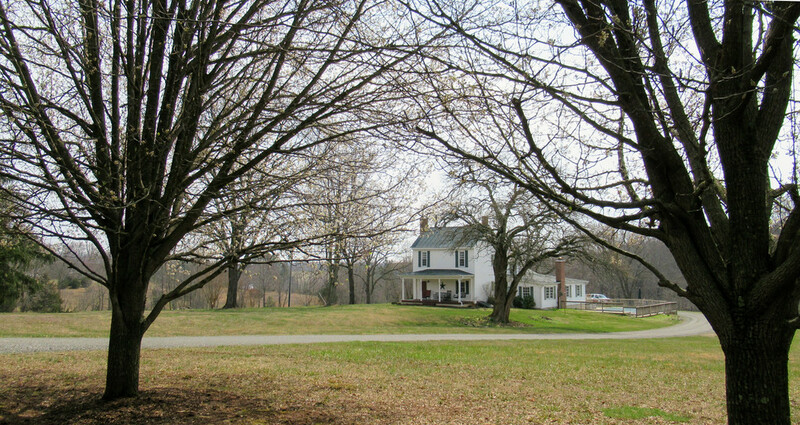 There are many a Civil War book that talks about General Lee hiding his army in the hills of Virginia. 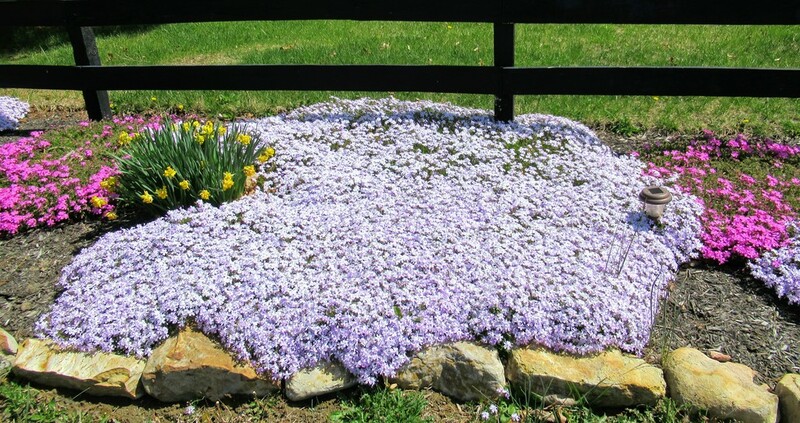 I often imagine that Fort Valley could be such a place! 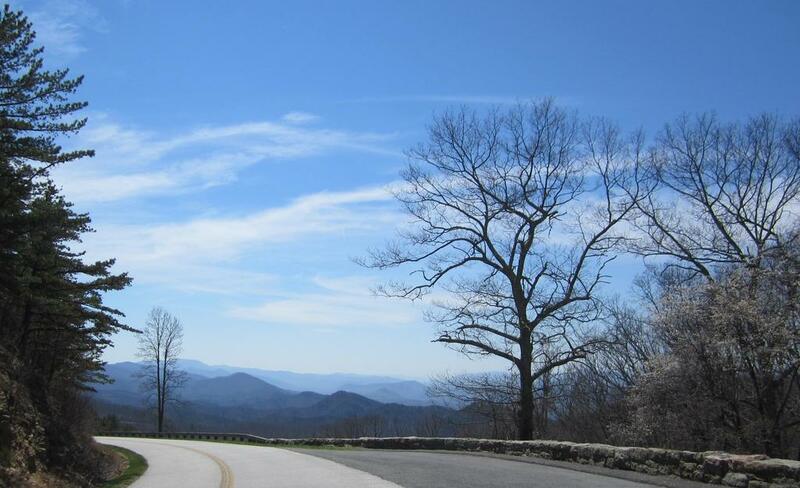 It is a valley that runs down the space between Mt Massanutten and the Blueridge. The great thing is you can climb into this valley from Edinburg and once you are over the top it is mostly down hill all the way to Highway 55! 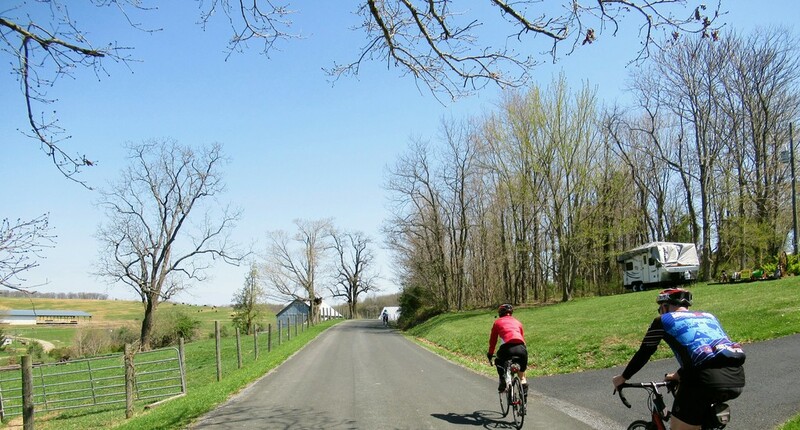 Try to do this ride with a southerly wind;) We like having lunch in Strasburg - usually we pull out our peanut butter and honey sandwiches sitting on the bench in the garden to the east of the Library. Note: Unfortunately, I don't seem to have pictures of this route! 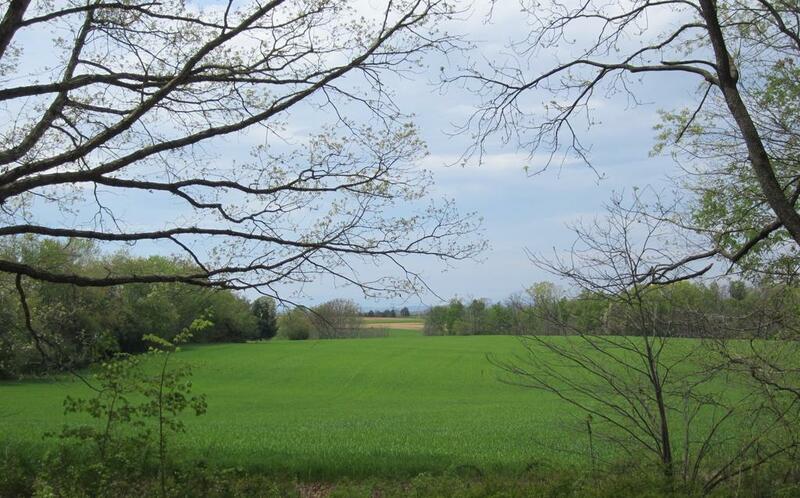 Until they 'arrive', enjoy these pics of the Bridgewater area! 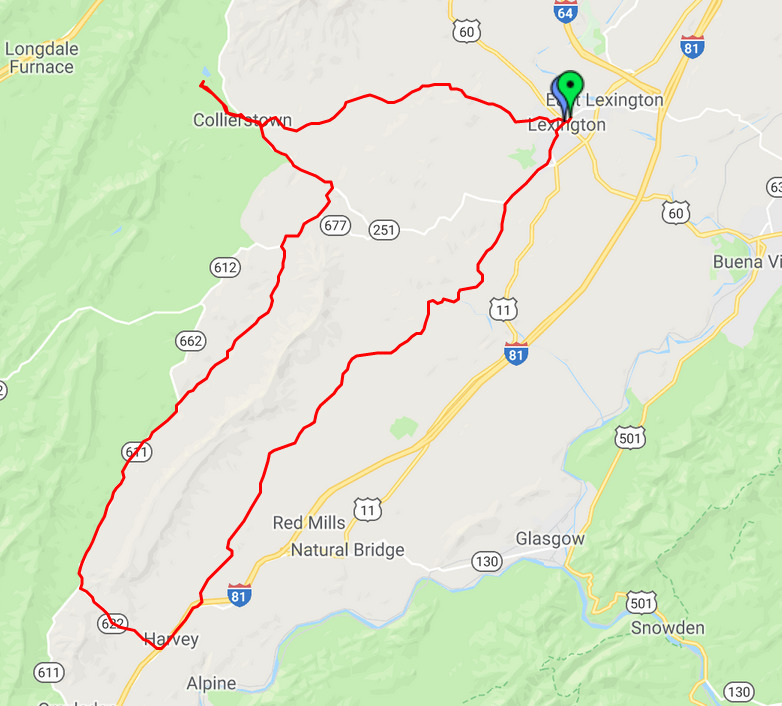 After 5 riding days in the Woodstock area, we usually move down to either Bridgewater or Lexington. There are lots of rides from Bridgewater and a few places to stay. The Village Inn on Highway #11 has pretty good value .. or a B&B. One of our favourite rides is the Natural Chimney ride. 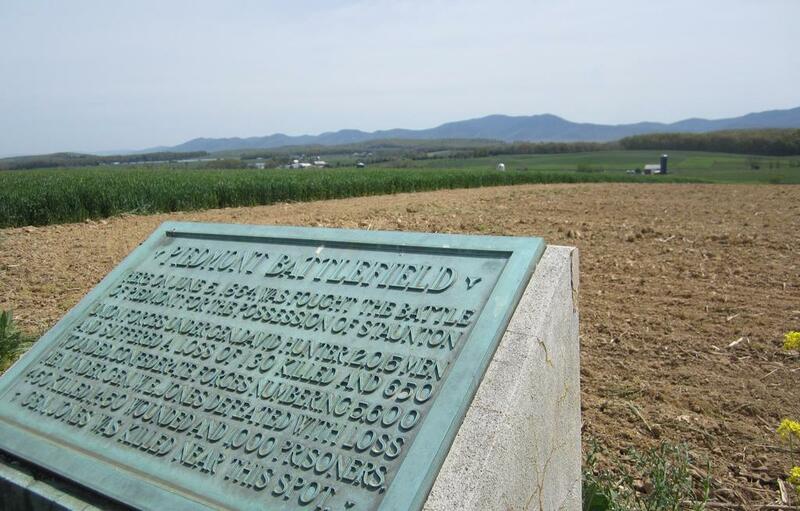 But if we had to pick one and only one, it would have to be the Piedmont Battlefields. You can do this figure 8ish route a number of ways .. and shorten it or cut off a section of the '8' .. what every you please! 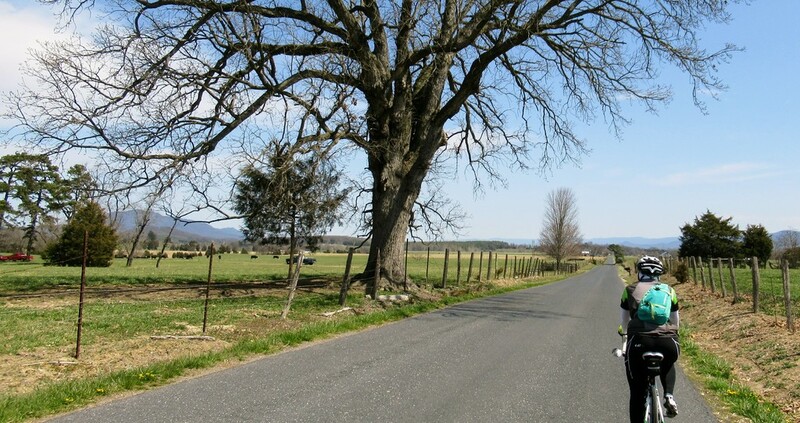 quiet and pretty roads to Fort Defiance. 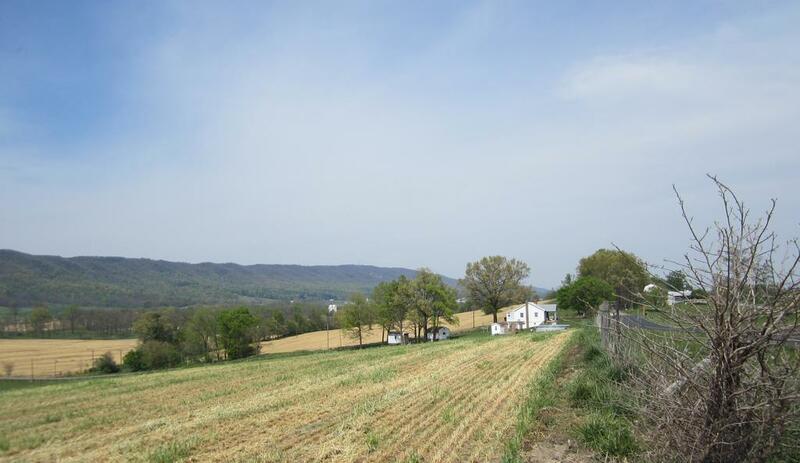 the run along Battlefield Road with the Blueridge off to your right across the fields. lunch at Mt Horeb Church (I can't explain why!). And finally - you have made it to Lexington! Well, maybe after a stop in Staunton at the Black Dog Bicycle Shop to buy 'the Jersey'! If you can, stay in town - maybe at the Sheridan Livery Inn. This South Buffalo ride is a wonderful introduction to the riding around Lexington. You leave town heading south on Highway #251 and quickly turn left onto Possum Hollow Rd and right onto Plank Rd following streams and rivers down a very pretty valley. The return route is up the very quiet South Buffalo valley following yet another stream until you finally catch a break for lunch .. maybe in Collier Town. I think it has to be the rivers and creeks that make this special. 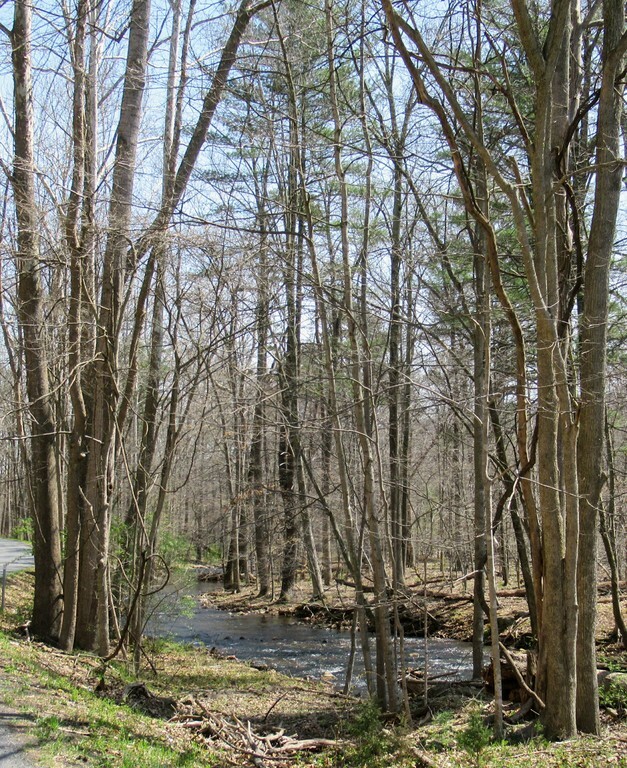 In fact, as you head back up the South Buffalo Rd, you have to be careful to remember to find the left turn down Bluegrass Trail that takes you through another water wonderland! 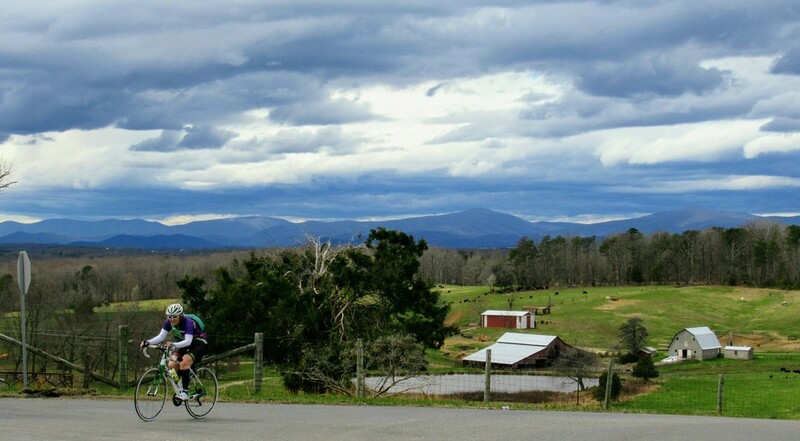 Purchasing a lunch can be a challenge here - but that is true on most rides in Virginia! Bring a lunch as there are few or no places to buy food. We often picnic somewhere along the 251 towards Collier Town. There is a nice church and hill top cemetery in Collier Town. The ride back into Lexington is another special route .. after an optional visit to Robertson Lake. We hope you saved some leg for this last stretch on Turnpike Rd! Heading north out of Lexington you can get into some nice hilly open country with some expensive horse farms and estates. In fact, most of the climbing seems to be at the beginning and when you finally turn south down Walker Creek, it seems like the downhill will never stop! 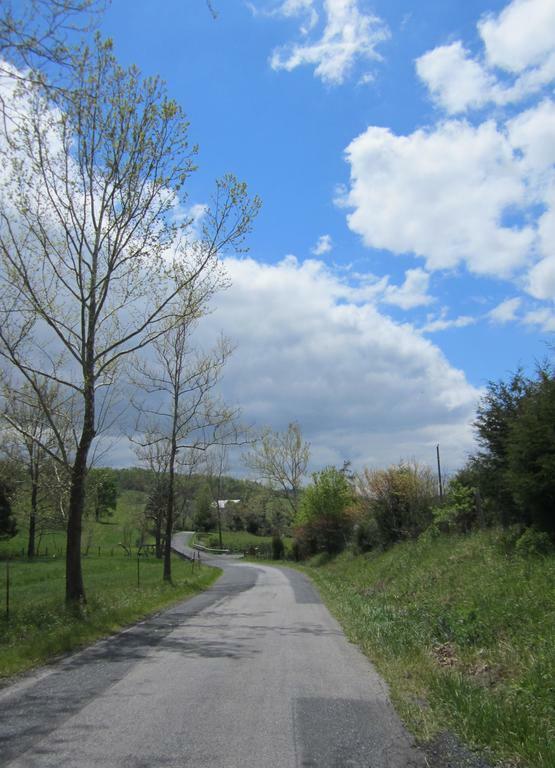 Ah but it is all an illusion because once you come to highway 39, this route takes you into 'Turkey Hill' country! 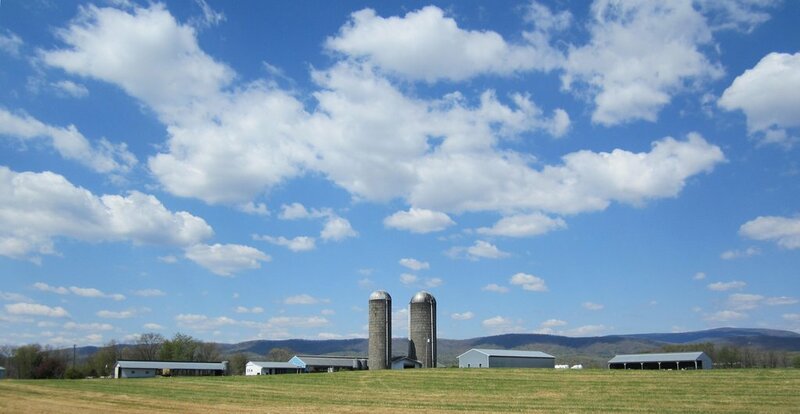 You will get some fabulous views of open fields mixed with views of local mountains. Keep your eyes peeled for signs of turkey .. usually in the form of cement castings at the end of an ancient estate. 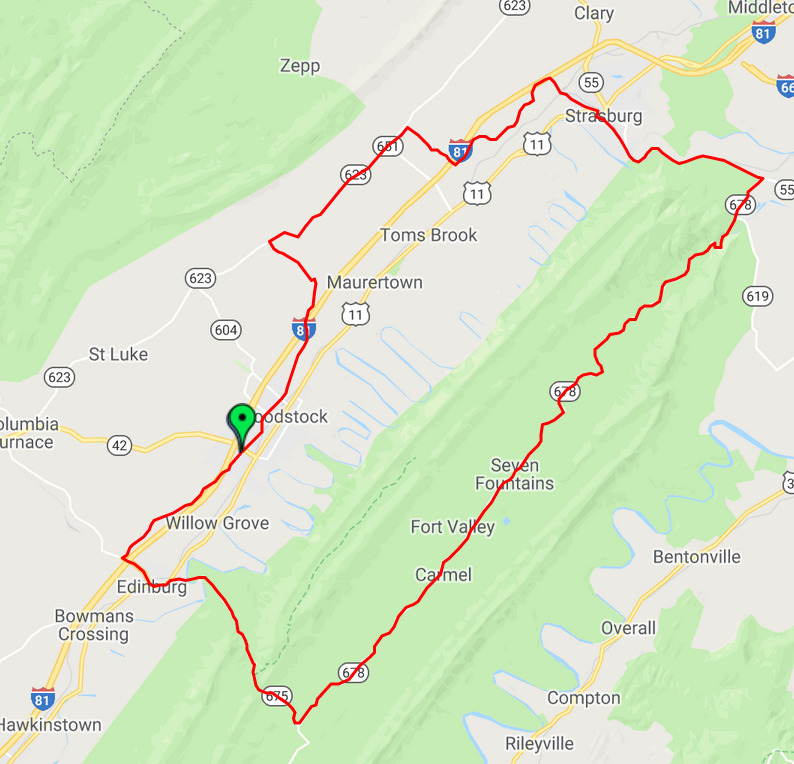 You get another surprise at the end with a quick decent to slip under the interstate then rolling hills and nice ride along the river into town. Legs feeling abit wobbly? .. next time, turn left on highway 39 and take the busier road into town. Nice and smooth .. but a bit noisy on the edge of town with an interstate and numerous hotels and malls. Note: The most northerly tip of this route is Mt McKinley where there is a church at the top of the hill just before you turn onto Walker Creek road. 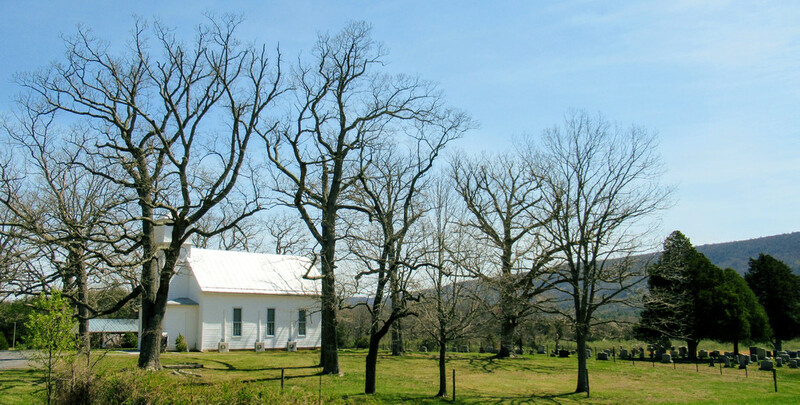 The locals tell us the water from the pump at this church is the best water .. in all of ... Virginia! 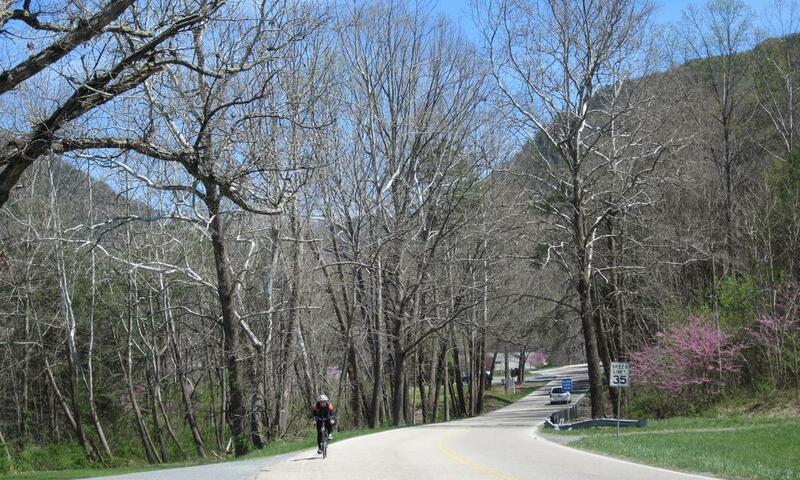 Now you are getting the feel for the area - but the Goshen Pass route is something different again! We like tackling it out Enfield Rd and over Big Hill before the ascent up the mountain pass. 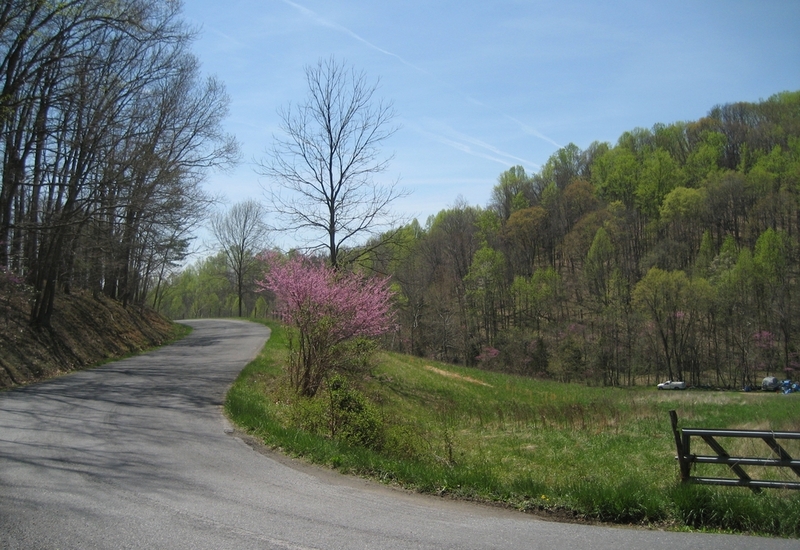 Barton's Run is your reward on the other side - recently paved and just a hoot to ride! You might find a small gas-station/tuck shop in Goshen for food. We usually have a sandwich with us and eat at the church on the right on the way in to town. 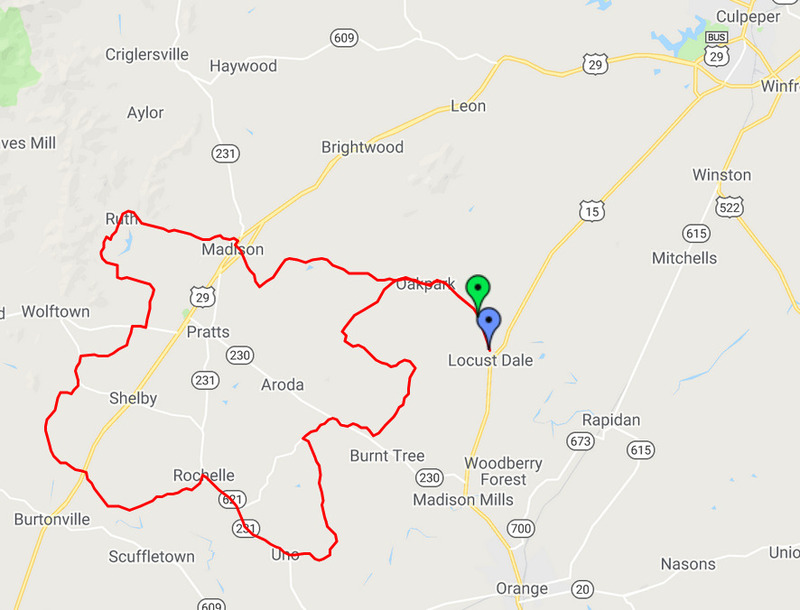 This seems to be the classic ride for the Lexington area and so you can't miss it! Our version takes you back into the hilly terrain north of town before screaming down to the river (mind the train tracks!). In the town of Vesuvius you start the ascent which always seems pretty brutal! The reward is at the stone bridge where you get to look down at your friends finishing the climb .. and then it's time for a group picture! 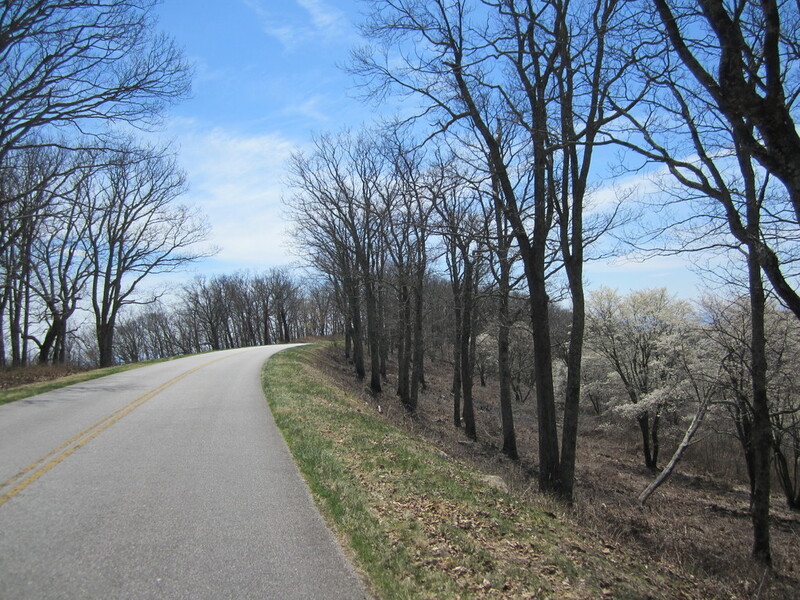 Once on the park road, your climbing is not that steep and you get to enjoy many views and potential lunch spots. You brought your lunch, no? The descent into Buena Vista can be a hoot if you don't get stuck behind a slow moving vehicle! You can top up your calories here before the final hill work as you meander back into Lexington on mostly quiet roads. Tip: Try not to do this on a weekend - can get busy with locals and tourists! Harold and Marion - top of Vesuvius climb - quieter times! 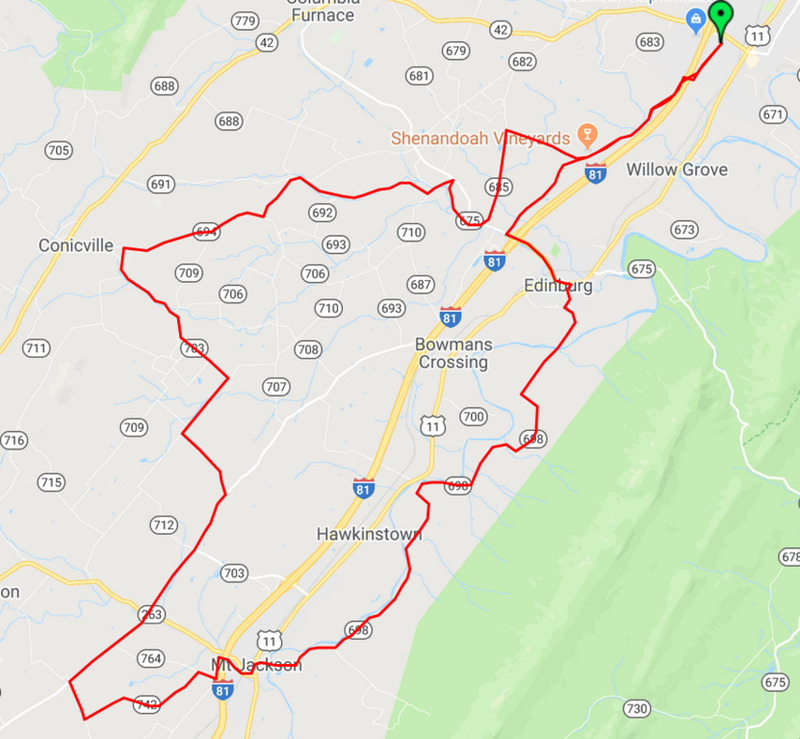 The rains and heavy weather are threatening you in the Shenandoah Valley .. so off you go to Madison County east of the Blueridge where the weather is much better and a few degrees warmer! challenging hills - Ruth Rd! Good Hope - spike of a hill that always gets your heart going! Ruth Road - remote and hilly! The Blueridge from Front Royal is called 'The Skyline' and it has a gate and will cost you money to enter. Most cyclists park at the bottom before the gates - but you still have to pay. This area of the Blueridge is much steeper that the sections farther south around Lexington. The road meanders up and down and east and west and so many times you can see your next ascent peaking around the corner! 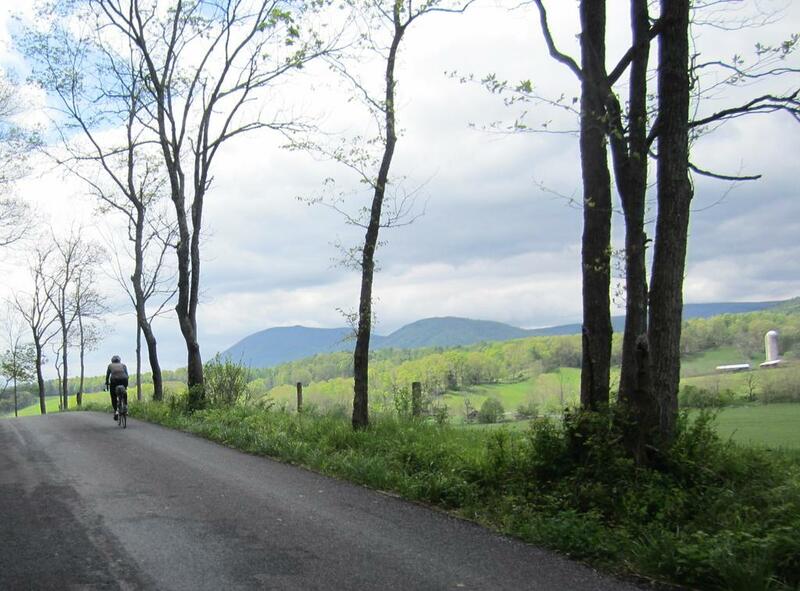 When you get to Panorama, you can stop and have lunch and turn around and all the hills are now descents! (but the descents are now .. ). At any rate, it is a completely different road on the return and you do more down then up. It's a great 100km ride! 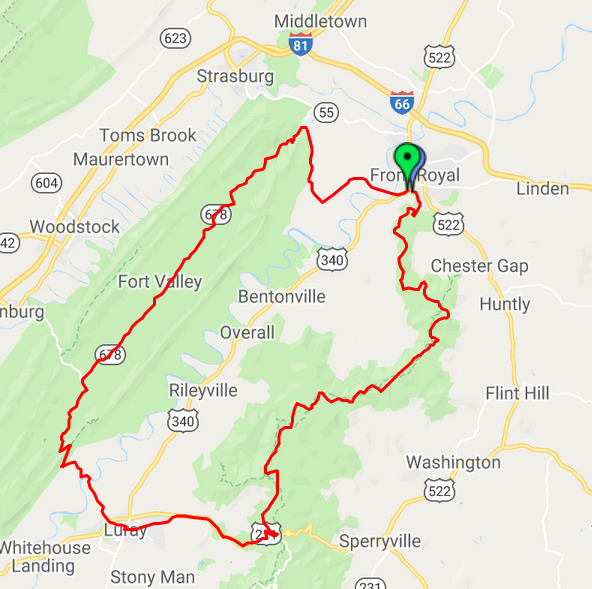 If you have lots of energy and it is early, you can descend to Luray and have lunch and then climb up and into Fort Valley and complete this 130km loop! 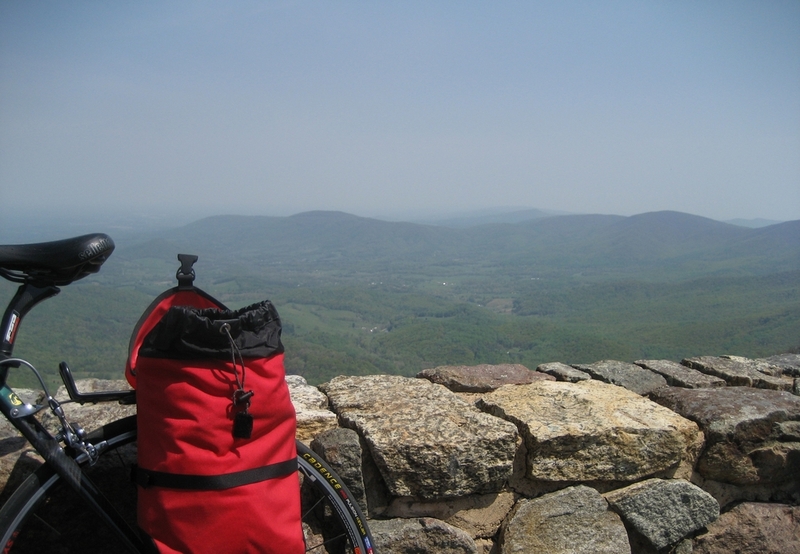 We've only done it a few times and each time we ascended out of Luray into Fort Valley on a very hot day with the noon sun sapping our energy from behind on the ascent. As always, food in Virginia can be an issue and the one general store half way down Fort Valley has been closed many years but in 2018 it was back in business! You roll your dice and take your chances .. or bring your own food and replenish when you can! Tips: Like Vesuvius, try not to do this on a weekend - can get busy with locals and tourists! You should also be careful with the weather. It can move in quickly and it is a number of degrees cooler up here and bad weather can bring in dense fog! Here is a slideshow of all the pics you just scrolled through .. enjoy! 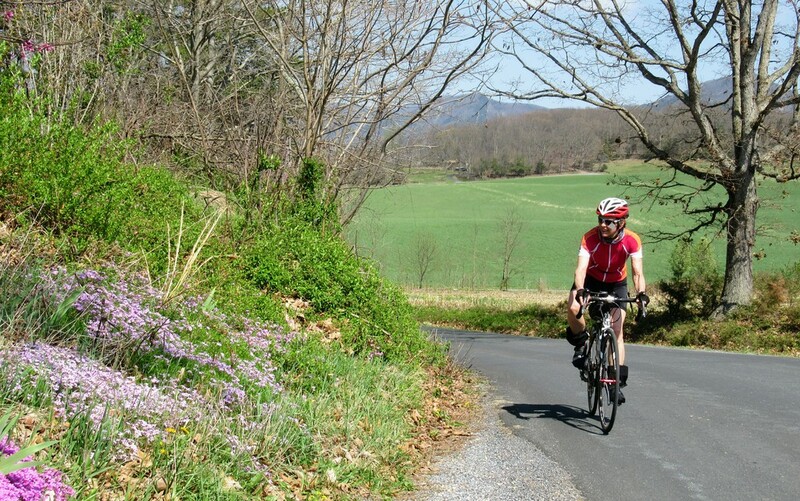 We hope you get excited about cycling in Virginia and get spring fever like we do every year and find yourselves exploring all the fabulous routes in this very interesting state! Some of these rides are a bit sparse on pictures .. so I'll try to fix this on our next trip. .. and, who knows, maybe we'll find a ride we just have to add to this list of Top Ten! 3 What keeps us returning ? 4 How much riding is there? 7 Top Ten Rides .. and why! 14 Conicville - Lens Mill right turn coming up! 24 Zepp - Cemetery - lunch! 68 Harold and Marion - top of Vesuvius climb - quieter times! 73 Good Hope - spike of a hill that always gets your heart going! 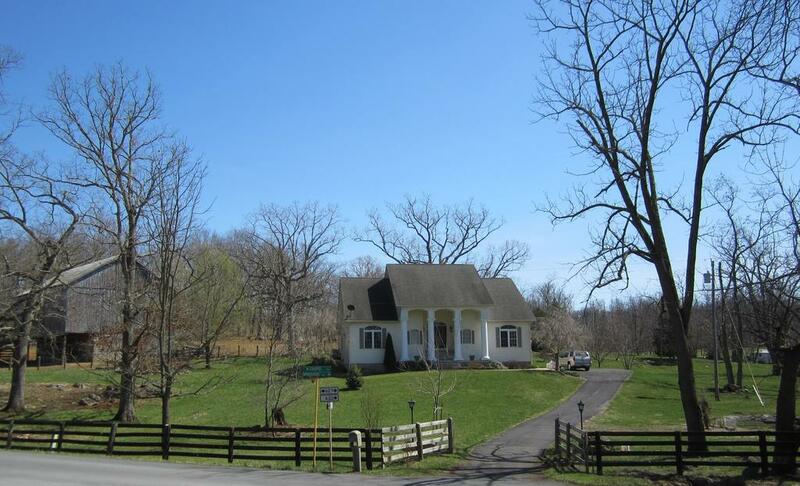 75 Ruth Road - remote and hilly!